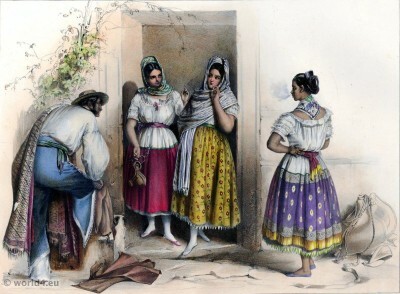 Home » Mexican Peoples from Puebla in traditional costumes. Gallery: Voyage pittoresque et archéologique dans la partie la plus intéressante du Mexique by Carl Nebel. Published 1836. This entry was posted in 1836, 19th Century, Mexico, Traditional and tagged Carl Nebel, Latin American folk dress on 4/18/14 by world4.